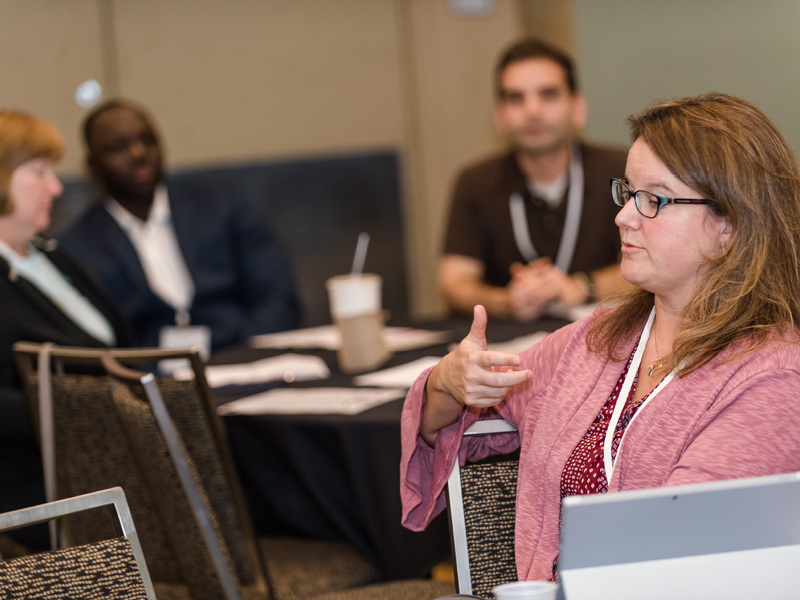 The ASCP 2019 Annual Meeting is your perfect opportunity to learn from renowned educators and experts to help you navigate the challenging issues you will face in your future practice, enhance your career success and ultimately provide better patient outcomes. 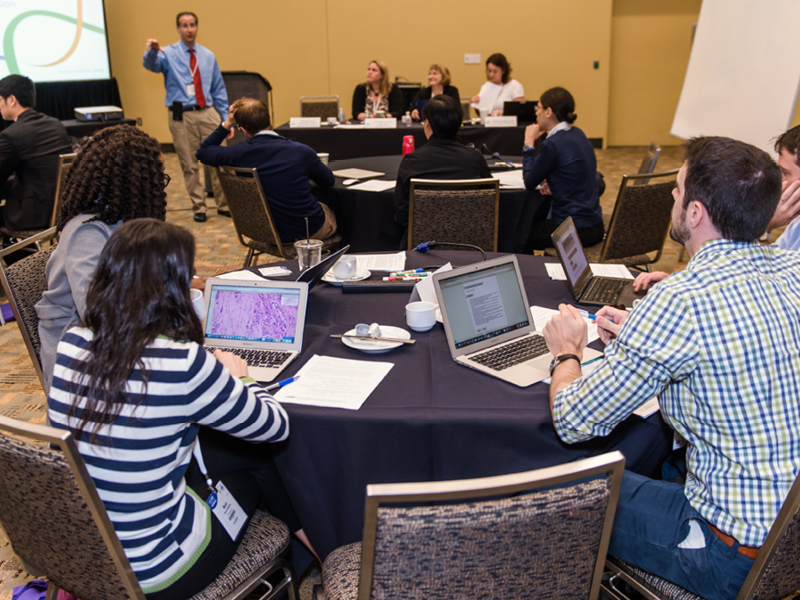 You’ll discover how to move laboratory stewardship from principles to practice and convey your expertise to the clinical care team through sessions led by knowledgeable, world-class faculty and respected, premier leaders. Pathologists, laboratory professionals and residents alike will find practical content taught by some of the most esteemed experts in the field, gaining knowledge to immediately improve patient care while building their skills in essential disciplines. You can customize your learning with our focused learning tracks. Join us and choose from a large offering of practical scientific education. Take the next step and be ready for your future practice—today. Cutting-Edge Focus Areas: Choose from several education tracks in the fastest-growing, most challenging areas, exposing you to critical and emerging subjects. Premier Faculty: Hear from knowledgeable, world-class experts and respected, premier leaders. Networking: Gather with and learn from the foremost leaders in the field, while also forming valuable relationships that will last throughout your career and lifetime. 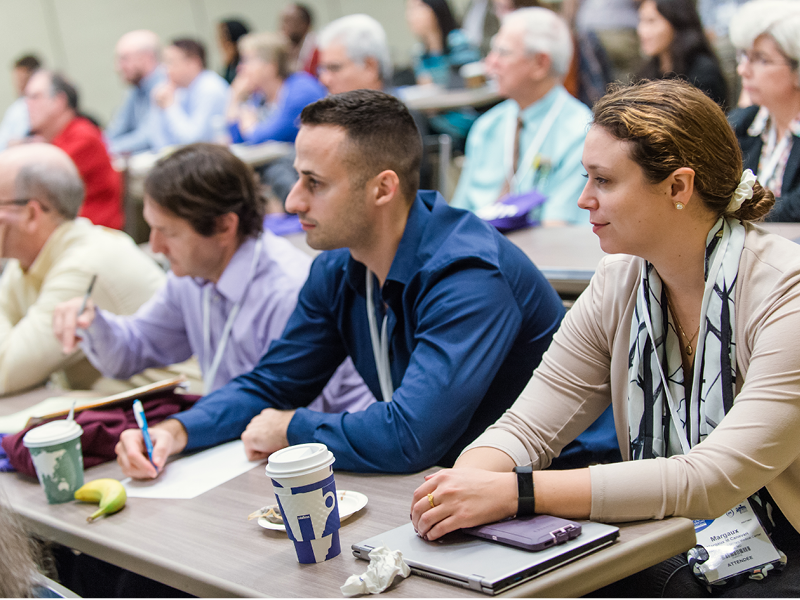 Focus in on your subspecialty area, learn practical skills and gain knowledge through a combination of lecture-based and interactive sessions taught by the top leaders in the field. Understand how to operationalize appropriate test utilization, and discover how to convey your critical expertise to the clinical care team. Benefit from hundreds of hours of education in dozens of topic areas, allowing you to earn up to 22.5 total CME credits. Pathologists under Continuing Certification (CC) can earn up to 19.5 hours of SAMs CME credit at the Annual Meeting. – VMT 12 new sessions! Gain practical knowledge in key areas such as laboratory management and practice, allowing you to build upon existing skills or learn new ones. Stay up-to-date on cutting-edge laboratory knowledge and hone your abilities to advance your career and gain recognition and promotion. Discover how to move from laboratory principles to practice, and understand your leading role in appropriate test utilization. Benefit from hundreds of hours of education in dozens of topic areas, allowing you to earn up to 22.5 CMLE credits. Expand your knowledge and skills with focused education and board preparation. Gain insights on the field from expert faculty and leaders through hundreds of hours of education in dozens of topic areas. Understand how to operationalize appropriate test utilization, and discover how to convey your critical expertise to the clinical care team. Watch for more details coming soon on events and sessions designed specifically for residents! Resident Review Series: Prepare for your board exam with the Resident Review Series, a group of five 1.5 hour sessions covering challenging, high-interest topic areas to get you ready for exam day. Session finder is now available. At the ASCP 2019 Annual Meeting, you will build advanced skills and discover the latest innovations directly applicable to your practice. Choose from over a hundred hours of practical scientific education presented by some of the most respected leaders in the field today. The healthcare environment is rapidly changing, with new technologies and practices revolutionizing the diagnostic medicine profession. Keep your lab on the forefront of the field, while learning appropriate laboratory stewardship techniques to improve outcomes, become more cost effective, and enhance patient care. Hear globally-recognized change agents and respected experts discuss the critical issues and emerging trends affecting our profession. Learn how to operationalize appropriate new technologies and techniques, and identify how to convey your valuable expertise to the clinical care team. Choose from a wealth of educational sessions offering credits toward your CMP or CC (formerly MOC) requirements. Pathologists under CC can earn up to 19.5 hours of SAMs CME credit at the ASCP 2019 Annual Meeting. 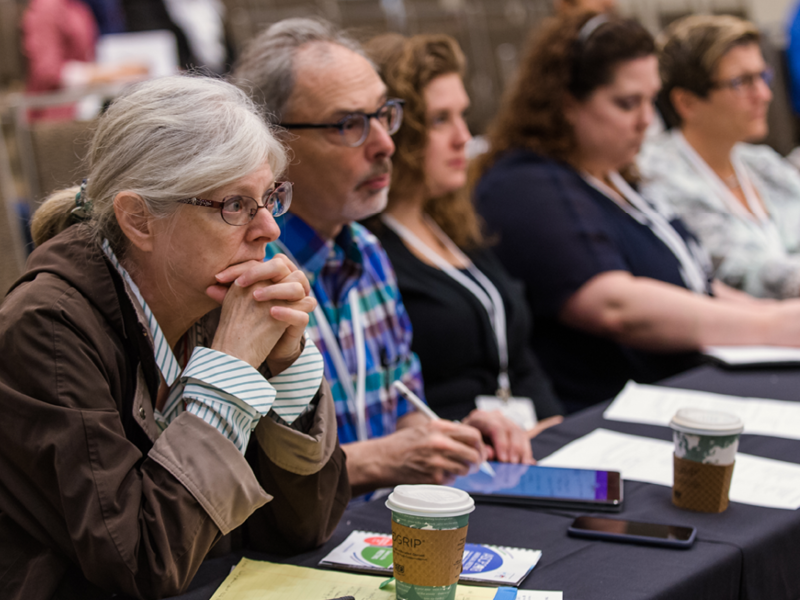 With the majority of our educational sessions offering SAMs CME credits and 100+ sessions offering you up to 22.5 total CME credits, the ASCP 2019 Annual Meeting has the education you need to stay current. Interested in exhibiting at ASCP 2019? Directly across from the headquarters hotel and nestled in the heart of downtown, the Phoenix Convention Center location is a tourist's dream. Reflecting the unique Arizona landscape, the convention center is one of the country’s most modern meeting venues, with up-to-date-technology, close by, top-notch hotel accommodations, all in a place easily accessible by plane, train, and automobile. If you're an international guest, count on us to help make your trip to the ASCP 2019 Annual Meeting simple and successful. For assistance with travel plans, documentation and all the details of coming to America for three days of learning and networking with colleagues from across the globe, click here. Two Phoenix hotels serve as official headquarters for the ASCP 2019 Annual Meeting. Both offer substantial special discounts for meeting attendees. Make sure to take advantage of ASCP's discounted rate and enjoy large savings over regular rates. The main headquarter hotel is the Hyatt Regency Phoenix which is located across the street from the Phoenix Convention Center. It is recommended that ASCP pathologist and laboratory professional members book their stay at this hotel. For residents and SH/EAHP attendees, the official headquarters hotel is the Sheraton Phoenix Downtown. Through our partnership with onPeak, we are able to bring you the lowest rates and best amenities for your trip to Phoenix. onPeak provides flexible booking policies, great group tools and a full team of customer service agents to ensure you have a smooth booking process. IMPORTANT REMINDER: onPeak is the official hotel provider for ASCP 2019. If you are contacted by other third-party companies claiming to offer hotel assistance, please be aware they are not endorsed by ASCP. Entering into financial agreements with these companies can have negative and costly consequences and are not protected by event management.